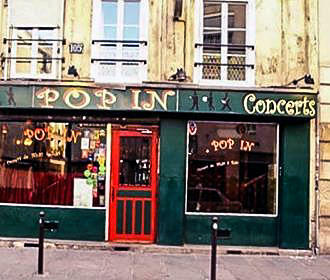 The Pop In was founded in the 1990s based around a theme of pop music and is a popular bar in Paris with different areas to relax, dance or meet up with friends and a wide variety of live music is played in the basement on set nights. 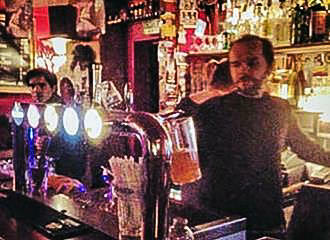 The Pop In was first founded back in 1997 by friends that enjoyed a drink along with pop and rock, and were bored of their jobs, and after opening this small bar it quickly became a popular place for friends to meet for a drink along with enjoying live music and DJ sets. Also this music venue in Paris soon became a launching pad for many new and budding musicians, with some of them being absolutely brilliant. But you do take the good with the bad, and unfortunately not all groups are as good as others, yet there is a wide variety of different music played here from the Beetles through to the latest in Indie rock, which provides a unique and enjoyable atmosphere no matter what day of the week you decide visit this bar in Paris. Now, the Pop In is a small place that looks rather bland from the outside, but inside this bar they have the ground floor area, that is full of life and even has draught beers, which does mean it can get very crowded, especially on certain nights or when they have a Happy Hour, so it is advisable to get there early. Yet if you venture upstairs to the first floor, it has a slightly tatty, but almost British feel to it with an old piano and second hand sofas and seating, which is a good area to relax amongst friends while enjoying a beer. 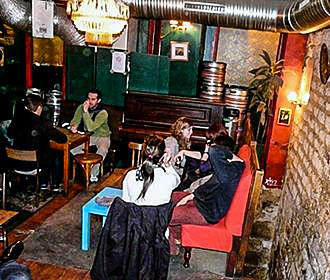 However, rather ironically, even though the live bands and the DJ sets are played downstairs in the basement of the Pop In, you have to go upstairs to the first floor to get to the stairs that lead to the basement, where you can then enjoy a night of dancing and good music amongst friends. 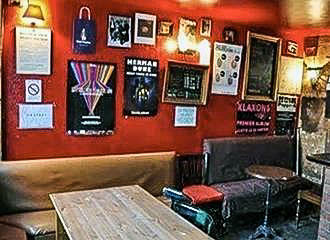 Located in the 11th Arrondissement you will find the Pop In open from 6.30pm through to 1.30am every day, yet concerts are held on a Monday through to Thursday, which start at 9pm. Although on other days there is still music to be enjoyed with a DJ on a Friday and Saturday night. However, on a Sunday, there is what they call an Open Mic event where anyone can get up on the stage, and if you want to be under the spot light all you need to do is register at the bar prior. And if arriving via the Metro public transport in Paris you will find that the nearest stop is called the Saint Sebastien Froissart via line 8, or alternatively you have the Oberkampf stop via lines 5 and 9. But we would like to point out that this music venue is unfortunately not accessible to the disabled due to having to negotiate stairs up to the first floor and the back bar and another narrower staircase from there down to the basement. Yet with the music being free, this a great place to spend an evening in an unusual but friendly atmosphere with good vibes, where you get lots of international groups playing.